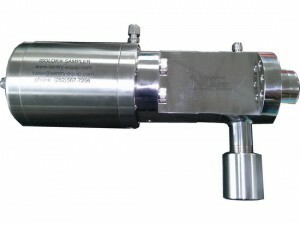 Based on the principle of a single acting cylinder, the pneumatic IsoControl MSA sampler allows the volumetric sampling of liquids flowing in transfer pipes. 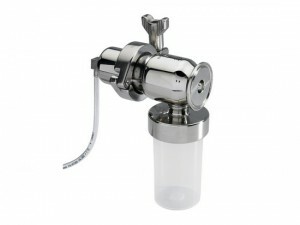 This sampler is adapted to sample low viscosity liquids such as raw or processed milk, serum, alcohol,…. The sequential sampling during the complete transfer of the liquid guarantees a representative sample of the transferred volume. 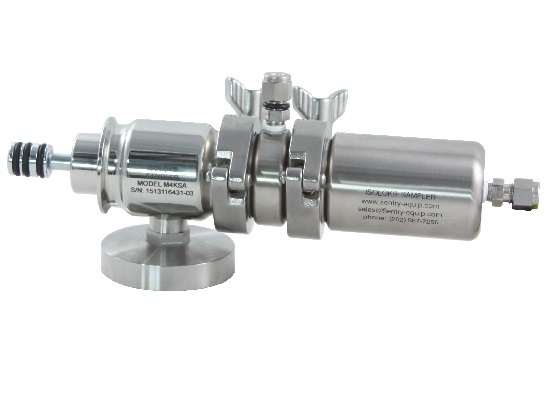 Based on the principle of a double acting cylinder, the pneumatic IsoControl M4KSA sampler allows the volumetric sampling of liquids flowing in transfer pipes. This sampler is adapted to sample medium viscosity liquids such as concentrated milk or serum, cream, grease,…. The pneumatic IsoControl MLK sampler is adapted for sampling of liquid food up to 15 cp viscosity such as milk , or some concentrated liquids on transfer piping. The representativeness of the sample is guaranteed by the sequential scheduled drip over the entire transfer. 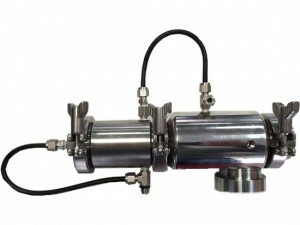 Based on the principle of a double acting cylinder, the pneumatic IsoControl MSE sampler allows the volumetric sampling of very viscous liquids in pressurized transfer pipes up to 10bar. 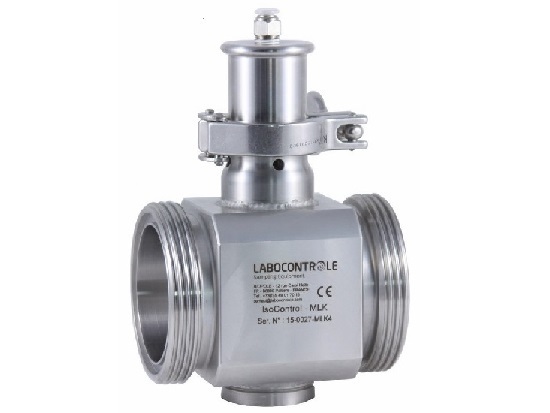 Based on the principle of a double acting cylinder, the pneumatic IsoControl SAB sampler allows the volumetric sampling of viscous liquids up to 1000cP in pressurized transfer pipes from vacuum to 21bar.